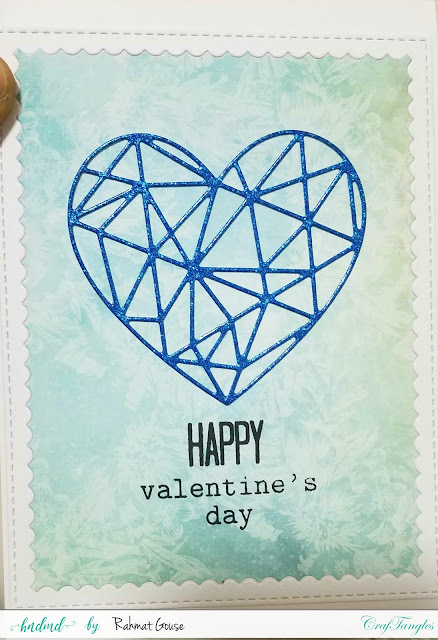 Hello everyone Rahmat here. I am up with a few valentines day cards today. 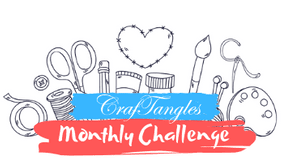 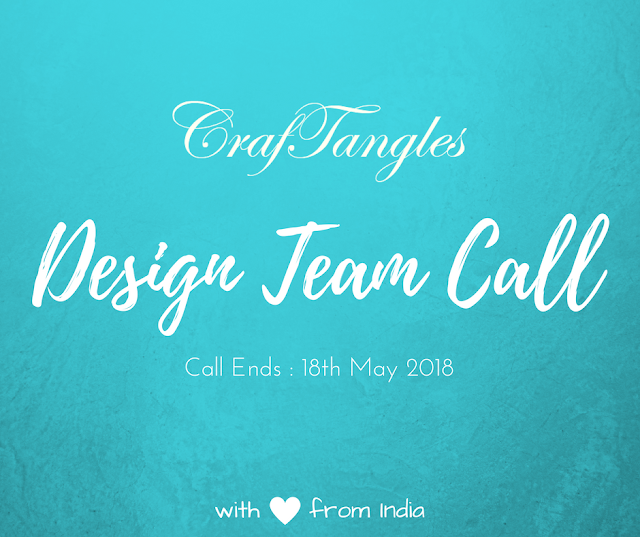 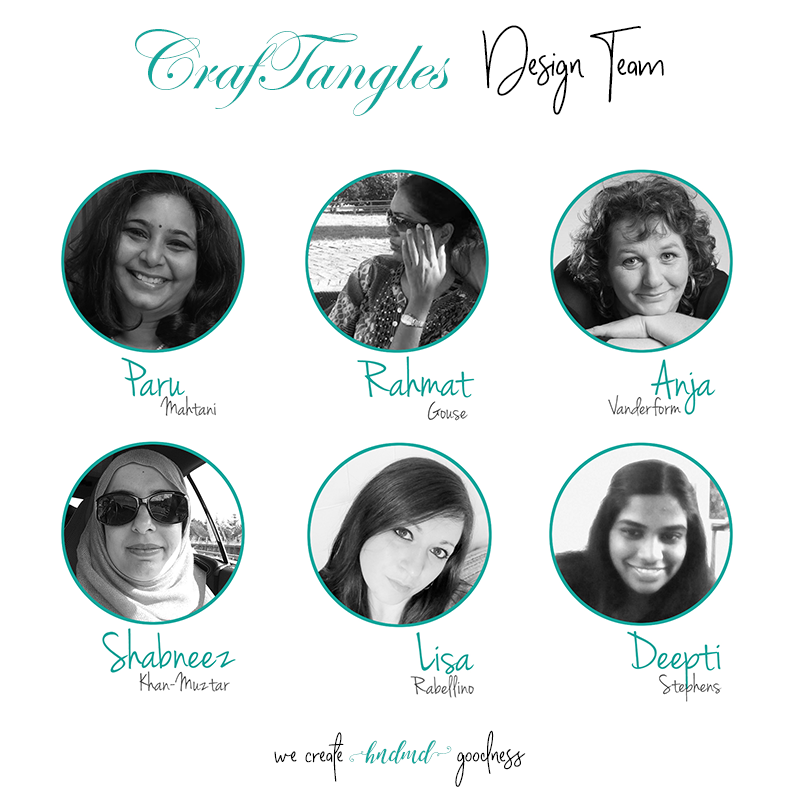 I have used the pattern papers from CrafTangles in focus here. 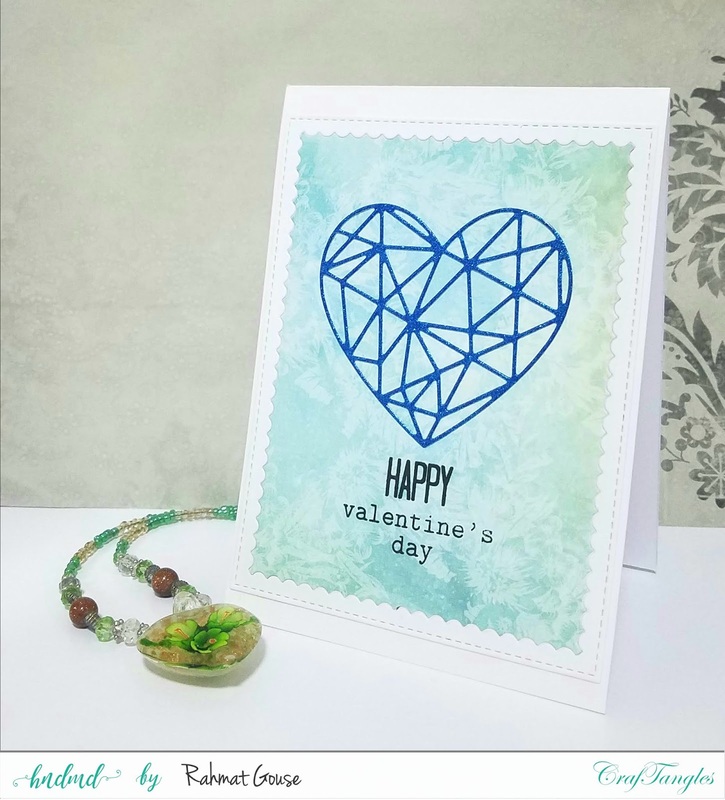 I simply ised the PP with the diecut here, and added a geometric heart in blue glitter card stock, and stamped the sentiment under it. 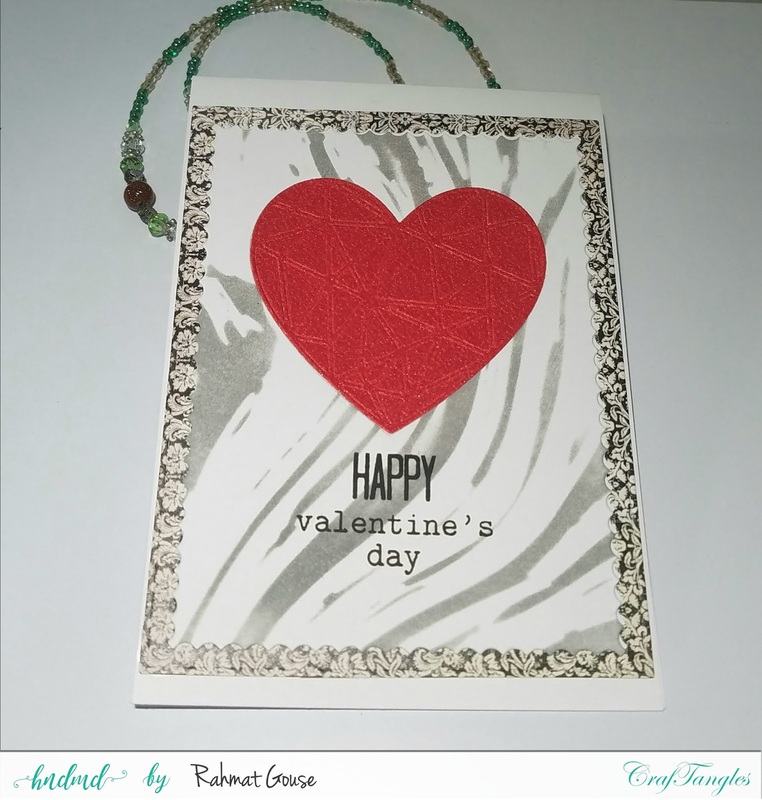 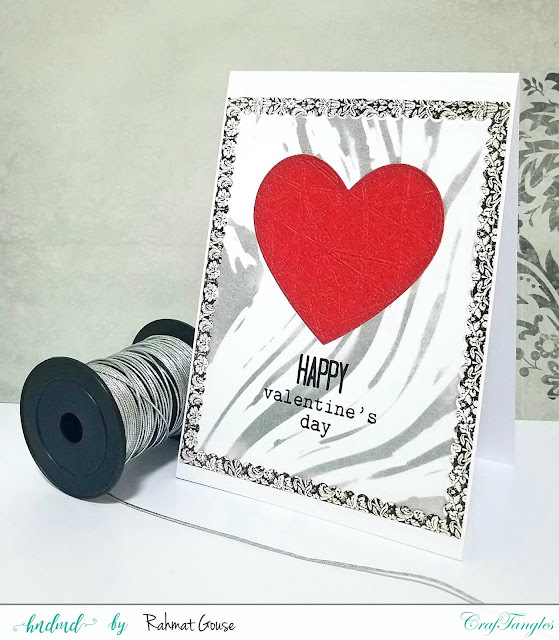 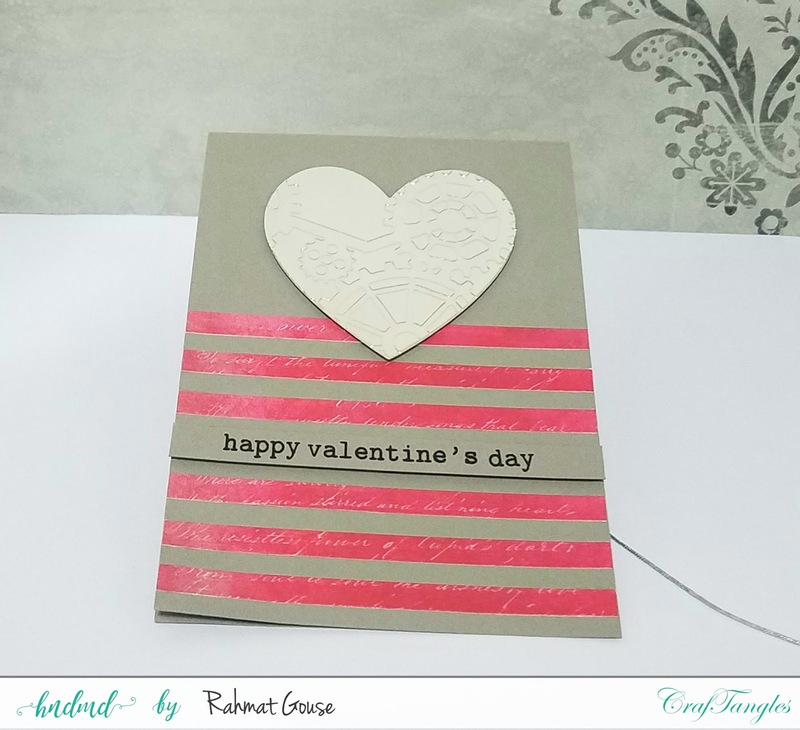 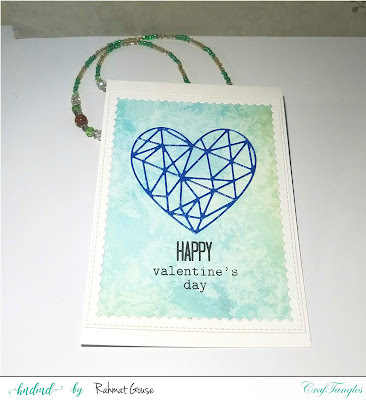 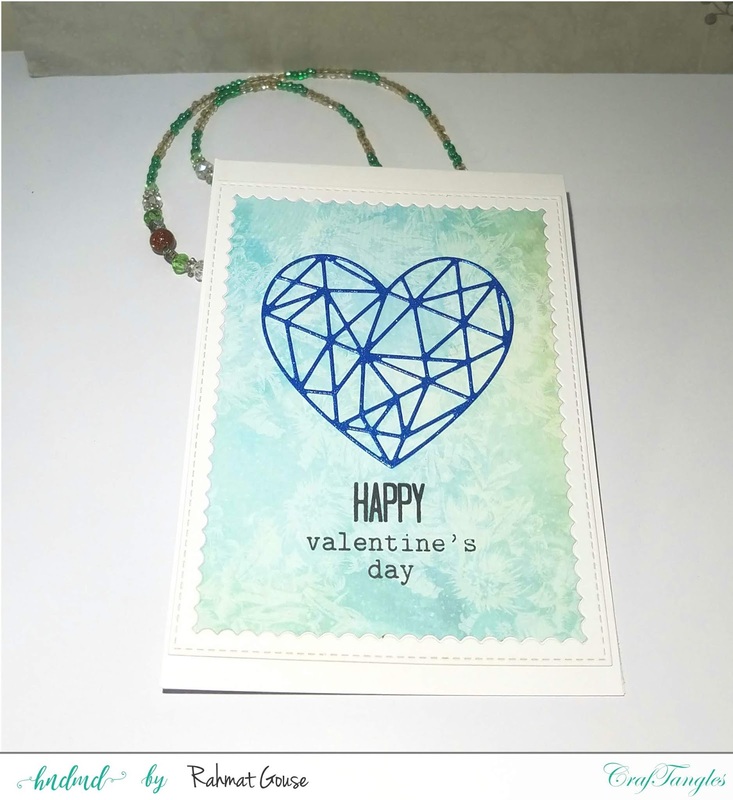 For this card I used the marble stencil in grey ink and then added a red heart in glitter cardstock, and framed the panel with the scalloped stitched rectangle die cut, and stamped the sentiment to to finish off. 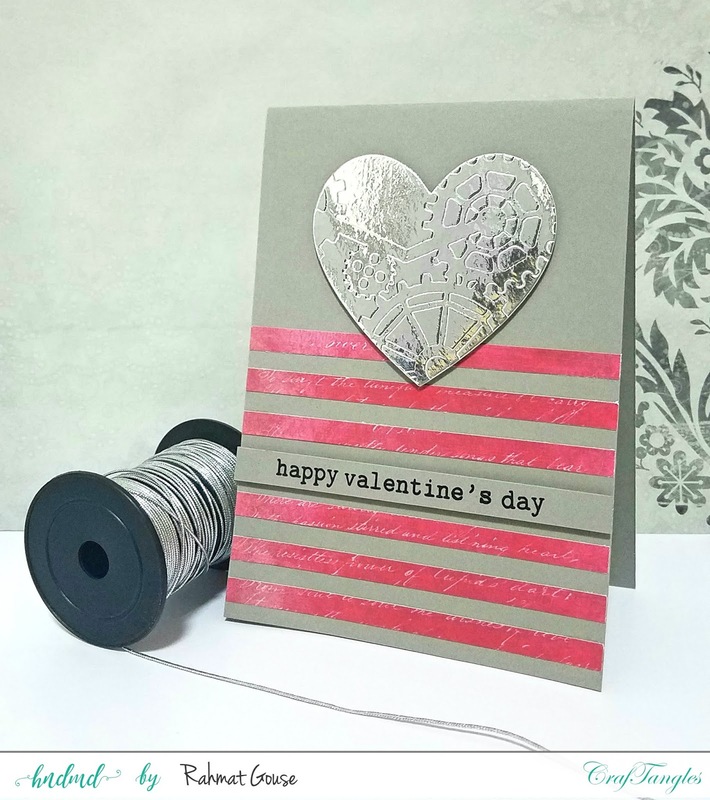 I used the grey Cardstock from CrafTangles here, and used the pattern papers in strips, and then added a heart using a reflective silver card stock. 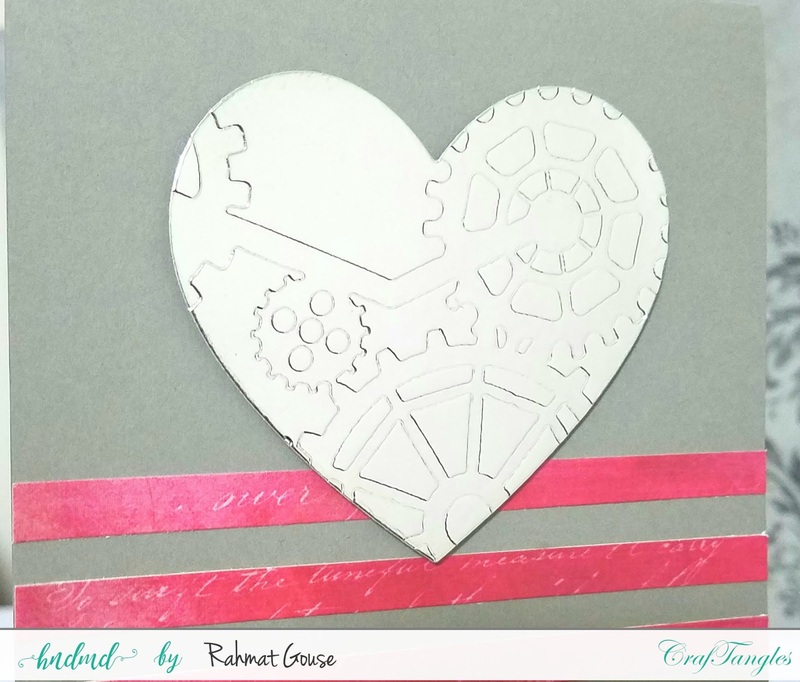 I had dry embossed the heat using the gear stencil. 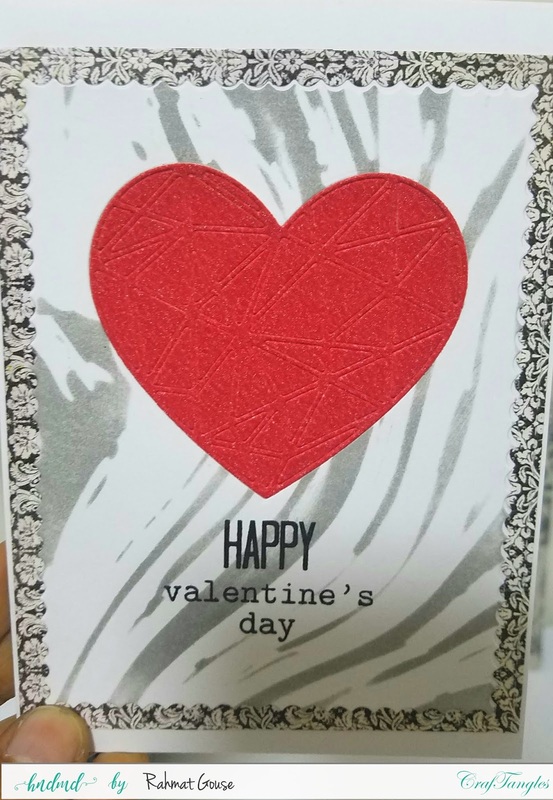 Added the sentiment on a grey strip and used foam adhesive to add it.